I am sure many women have at least heard about the Soprano Ice Laser hair removal treatment, some have read more about it and some have decided to try it. One of the few London based beauty clinics to offer such a service is Medspa. Their therapist will answer all of your questions and here are some important facts you should know about the treatment, as told by the therapist who are doing it. The process is comfortable and you feel little to no pain while undergoing it. The Soprano Ice laser hair removal is suitable for all hair types and skin types and can be done all year round, no matter the weather conditions. The results are fast and even, leaving a healthy silky skin. The laser cools the skin with an encircled sapphire tip. The ICE technology cools the skin surface, preventing skin damage and allowing the hair removal to be virtually painless yet highly effective. The cooling technology prevents surface burns and keeps the heat within the dermis. The Soprano Ice Laser emits 10 lower power pulses per second while the treatment applicator is moved back and forth over an area – in motion technique . This translates into a gradually heating the dermis to a temperature that effectively damages the hair follicles and prevents re-growth, while avoiding injury to the surrounding tissue. The facial laser hair treatments should be every 4 weeks for the first 4 treatments then every 4-6 weeks thereafter while the body laser hair removal treatments are performed every 6 weeks for the first 4 treatments then every 6-8 weeks after that. 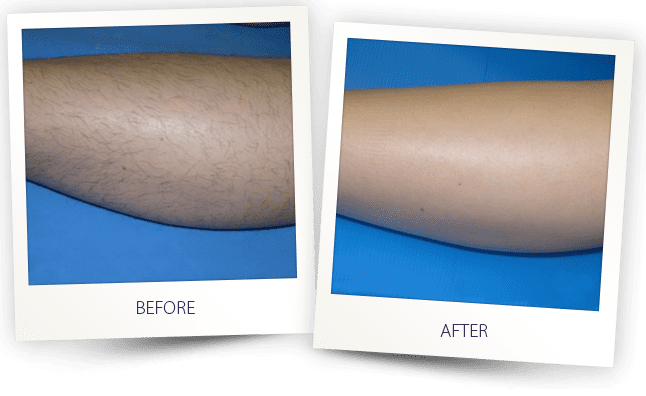 The Soprano Ice Laser hair removal treats hair in the Anagen phase of growth, roughly 10-15% of the hair in any particular area will be at this phase at any time. Each session treats different hairs at this stage of their life cycle so you should see a roughly 10-15% reduction in hair per treatment. Be sure to have a patch test before the treatment so the laser therapist can check that your skin is suitable for laser hair removal and answer any questions you may have laser hair removal and answer any questions you may have. In a nutshell, these are the general information you should know before deciding to have a Soprano Ice Laser hair removal treatment. For more in depth knowledge, book a visit at Medspa and let the therapist assist. Go for silky skin but don’t forget to keep it healthy in the process.